Happy Friday, friends! 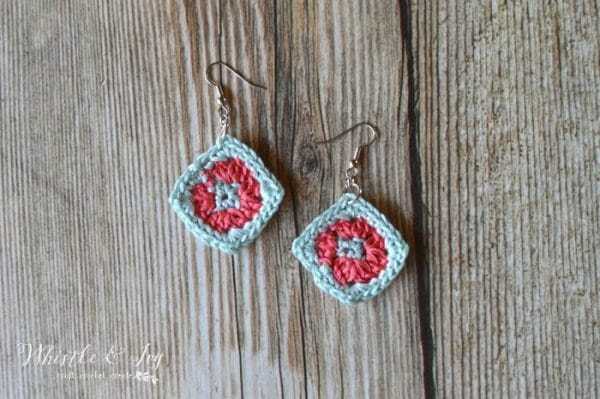 Yesterday I completed a project I have been thinking about doing for a while: granny square earrings. 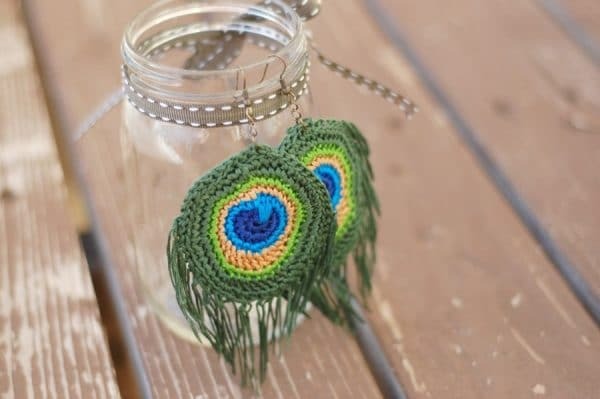 I have only crocheted earrings once before (these peacock feathers), so it’s still an area where I am new. I hesitated because I wasn’t sure if they would really fly. BUT I like them, so I guess that’s all that really matters, right? Plus, they work up quickly, which you may know, I LOVE. 3. Ch 1. Sc in same st. Sc in next st. *Sc 2, ch 1, sc 2 –all in corner ch-1 sp. Sk next dc. Sc 3. * work 3 times. Sc 2, ch 1, sc 2 all in next corner ch 1 sp. Sc in last st. Join with sl st. Using your pliers, open the large jump ring and put it through the ch 1 sp of any of the corner. Close the jump ring. Open the small one and put it on the larger one. Before closing it, put the ear wire on, making sure the nice side of the granny square will face out when they are worn. 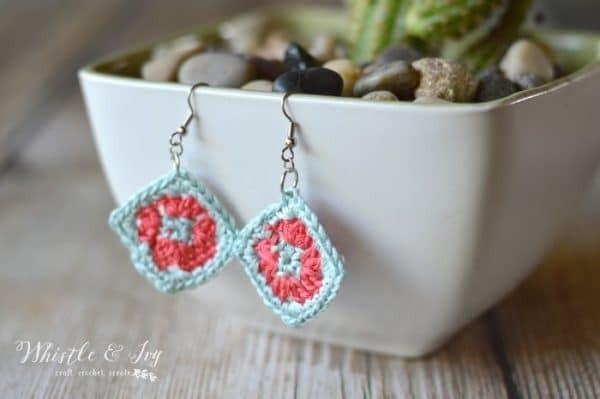 I Made a pair each for my sons bride and her 3 bridesmaids and they looked really lovely in the wedding photos. Thank you so much for a truly wonderful and unique ifea. I absolutely love these, ADORABLE! 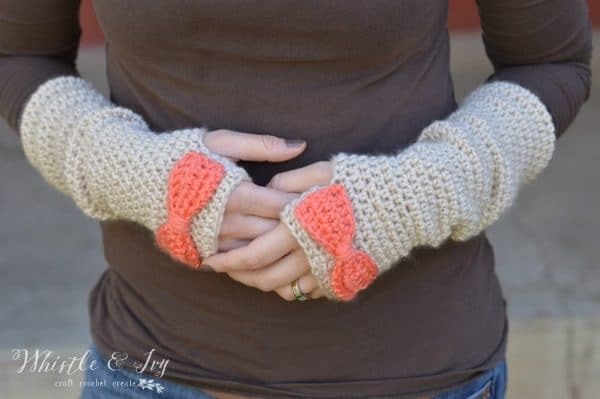 I think I will make a pair for my mom, she loves to crochet and taught me when I was young and I think she would love these! Looks great! These are so sweet! I’d for you to share this at our weekly link party. http://www.thelifeofjenniferdawn.com/2016/07/diy-painted-projects-for-home-and.html Hope to see you there! 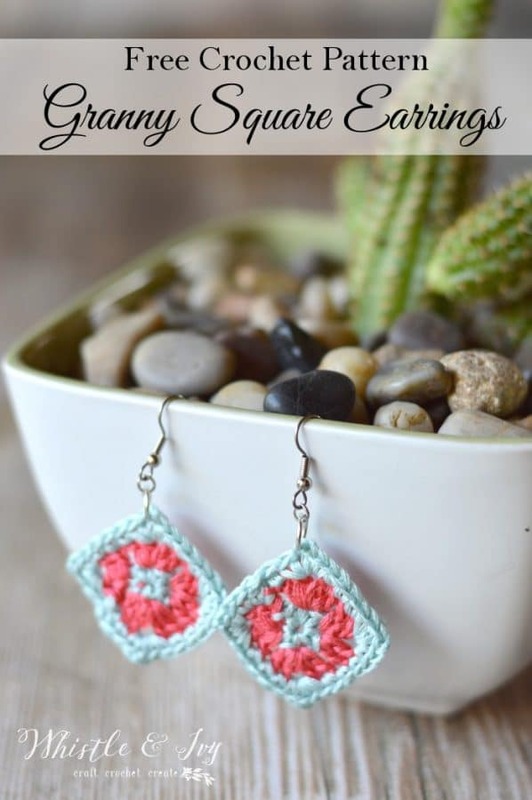 My daughter would absolutely adore these darling earrings! Thank you so much for joining the gathering at Thoughts of Home on Thursday. These are absolutely adorable! I love the yarn colors and the uniqueness of the project! Thanks for sharing your tutorial with us at Merry Monday this week! Would SOOOO wear those! 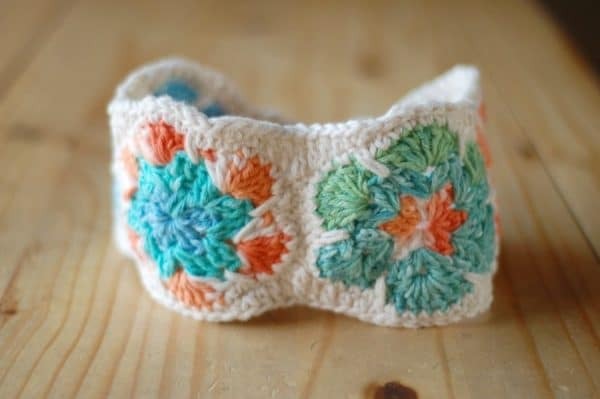 I’m a knitter but am intrigued by crochet. These are a must-do! thanks for sharing….. SO glad you like them!!! You’re welcome!